It has been a whirlwind two months for the le Roux family. Since Philip and Vina’s eldest daughter Val received her USA visa, things have progressed quickly on the home front. Just two weeks ago, Vina had the very difficult task of saying goodbye to her and leaving her behind in the USA while she returned to the rest of the family in the Philippines. While this is a very difficult time for the family having to be apart, they are so thankful to the Lord for this wonderful opportunity He has given Valerie-Anne. She is adjusting to life in the USA and working very hard. They miss her terribly but we are excited to see her grow and follow the path the Lord has for her. Please keep her in your prayers as the Lord brings her to mind. Philip and Vina are so ready to teach the chronological Bible lessons in Agutaynen and are excited to begin! However, as excited as they are, they want to be sure to do things the best way they can. Their desire is to be effective in this process and faithful to do the work the Lord has given them well. There have been some challenges that have delayed the start of the teaching. It is rainy season. They are very grateful for the extra water and cooler temperatures but they have had so many storms (sometimes daily), that any type of teaching would be a challenge. Not only would teaching a big group outside be impossible, but also people are not likely to travel to the indoor lessons if it is wet and windy. The people do not have warm clothes and hot showers and tend to get sick easily during this season. Therefore, they try to limit time exposed to the rainy weather if it can be helped. Some of the key people they have relationships with on the island are away now for various reasons. Philip and Vina would really love them to be part of the teaching, and starting without them is a difficult decision to make. 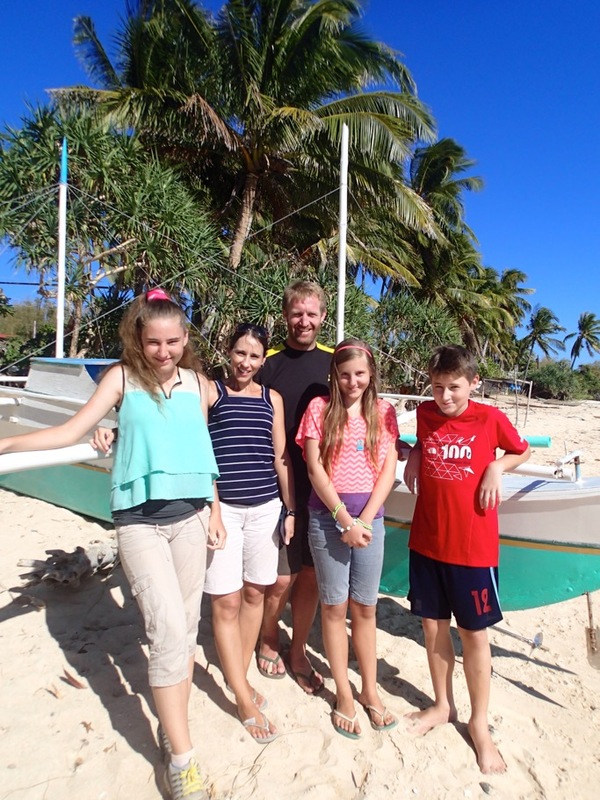 Praise the Lord that as a family they have not been required to return to South Africa, but just leave the Philippines for a short time and begin the missionary visa process from scratch again. If they begin teaching this month then they would have to take a break to leave the country; this is less than ideal, as continuity is very important. After prayerful consideration, Philip and Vina have decided to delay teaching until they return from their trip out of the country. They are delighted at how much faster the lesson translations are going. They should be almost complete when they leave for their trip out of the country. Fifty lessons are complete already! They continue to be involved in the people’s lives through medical help, attending functions, assisting where they can with the schools and sports teams, and generally just doing life together. They praise God for the close-knit community that has welcomed them. After prayerful consideration, Philip and Vina are planning to teach several times in smaller family groups to encourage faithful attendance and an environment where people will be more comfortable to ask questions. They would also be able to assess how the teaching is being perceived better, and the travelling will be done by them not the people. Pray as they decide which families to start with and as they plan a teaching schedule. Pray for wisdom and endurance as they go the final stretch before they begin. Please pray for the Lord to begin a work in the people’s hearts before the teaching begins. Thank you for being a part of the Lord’s work on Agutaya through faithful prayer.